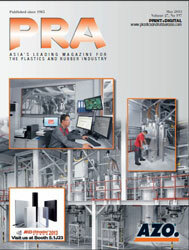 German injection moulding machine maker KraussMaffei, which recently inaugurated the second phase of its Chinese plant in Haiyan (http://www.plasticsandrubberasia.com/may2014/leadfeature3.html) is supplying four injection moulding machines (IMMs) manufactured in China to BSH Bosch and Siemens Hausgeräte GmbH (BSH) in China. The large MX series machines will be delivered to the BSH facility in Nanjing where they will be used to produce washing-machine tubs. 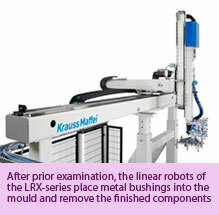 BSH Nanjing has already been using linear robots from KraussMaffei since 2008. BSH manufactures these tubs in three large plants in Russia, Turkey and China. The company has ordered four new large machines from the MX Series, two of which were put into operation back in February 2014, for the plant in China. The other two MX 850-8100 machines will be installed soon. 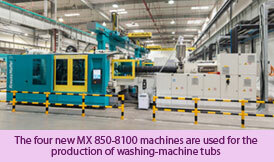 The new MX machines are the first to be supplied to BSH directly from KraussMaffei's production plant in Haiyan. The BSH laundry experts decided to use the fully automated injection moulding solutions consisting of the MX 850-8100 with LRX linear robots. Once the metal bushings required for the tub have been checked, the LRX 500 is used to place them into the mould and remove the finished parts. Bushings of varying diameters are needed depending on the size of the tub being made, and the robots provide these bushings quickly and in the correct size. Getting this right is especially important because the accuracy of the bushing/bearing unit design is a decisive factor in the longevity of the washing machines. These modular units from KraussMaffei Automation have been used to automate the production of injection-moulded parts in China since 2008. 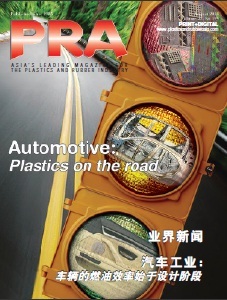 From its production plant in Haiyan, KraussMaffei says it supplies production solutions that are specially tailored to the needs of Asian customers and meet the company's globally applicable quality standards. The MX series of large machines, which are manufactured and assembled locally in China, are designed for use in the automotive, electronics, packaging and transport industries.